Samsung Galaxy S III users on Sprint are reporting that a “security update” for their phones has removed the universal search feature from Android. The home screen search bar now only returns results from Google search, without searching through apps, contacts, and emails among other data. The unannounced change follows a temporary sales ban on the Google Galaxy Nexus, manufactured by Samsung. This was due to the ongoing legal fight between Apple and Samsung, among other Android manufacturers, including HTC, over patent infringements. 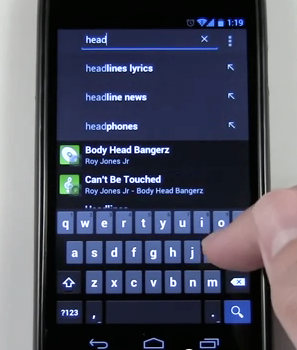 Universal search allows you to search through your entire phone’s data from the Google search bar on the home screen. You just type in what you would like to find, and it returns results from your music, contacts, apps, email, contacts and the Web. On iOS, you access this by swiping right from the home screen. What the Sprint software update does is remove searching through data on your phone and brings up only Web search results. Voice commands are not currently affected. The Galaxy Nexus sales injunction was based on a patent relating to universal search on the phone, among three other patents, including slide to unlock, and word recommendations and auto correct. Last week Google said it was working with Samsung on a software update that would remove universal search in order to bypass the sales ban, but this has yet to be released. 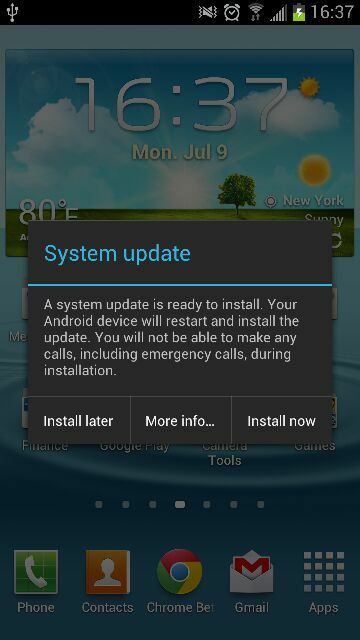 However, this security update for the Sprint Galaxy S III does seem to address the exact same patent issue relating to the Galaxy Nexus, and is probably a pre-emptive move from Samsung ahead of a wider rollout of the Android update that strips the universal search capabilities. Google previously detailed that the Android update bypassing the patent issue will be rolled out to all Galaxy Nexus devices in the United States regardless or carrier. Given the Galaxy S III has similar functionality, it’s possible, though not confirmed, the change will also apply to all Galaxy S III phones within the U.S., where the patent dispute is currently limited to.